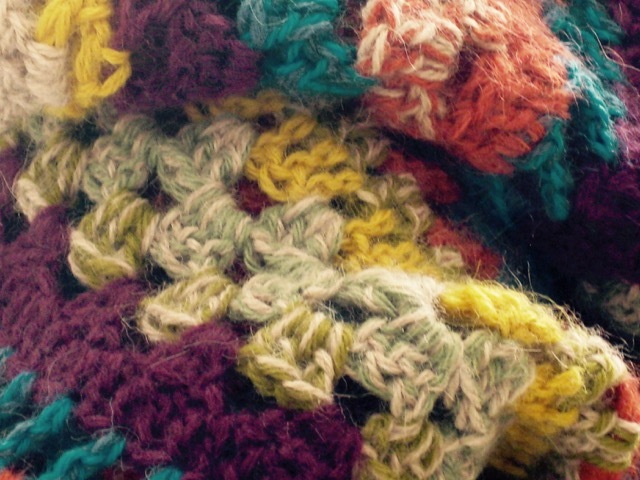 resist to crochet a second one to see what would be the effect of the new color... and so on and so forth! fringes. I am not sure yet if I will order some more yarns or I leave it as it is without the fringes. Très joli châle Christine et réalisé à la vitesse éclair ! It's Gorgeous!! I figure those tassels are going to use a lot of yarn. I think the original pic you posted used ribbon as well. I'm still collecting some yarns and need to check my stash too. I think once I start, it will go quickly. Sure love yours! What beautiful heather yarn. I think it looks so pretty as it is. Excellent job! 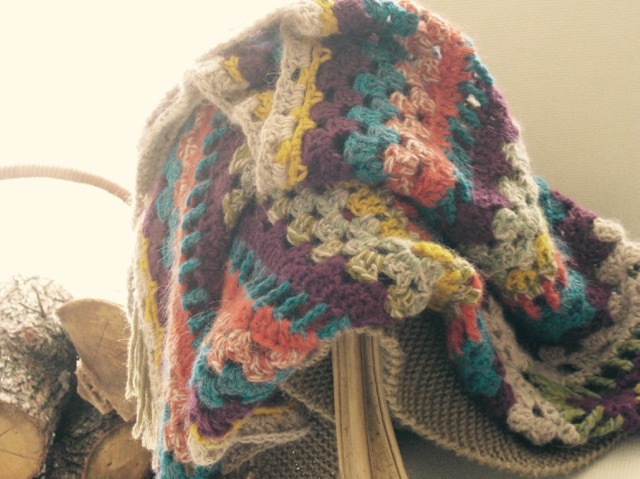 I so enjoy those kinds of projects - that beg you to just crochet one more row... It's a beautiful shawl. 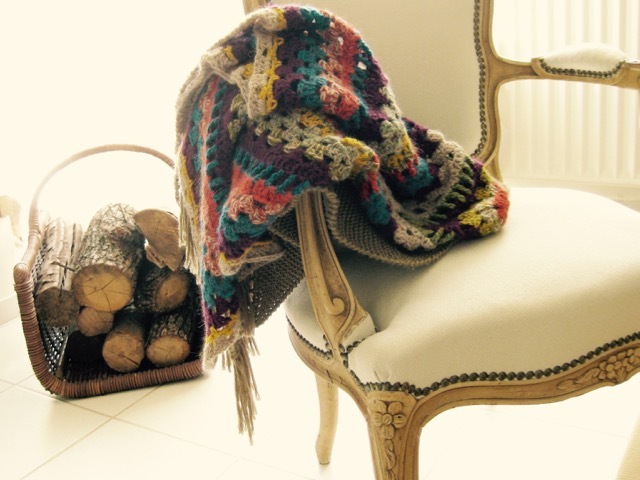 I love the colors - and the picture of it draped on the arm of that lovely chair. Perfect.